California Consulting President, Steve Samuelian was Keynote Speaker at Grant Workshop Hosted by Assemblyman Matthew Harper in Costa Mesa, 1/15/16 - California Consulting, INC.
California Consulting LLC President, Steve Samuelian, was the key note speaker in a Grant Writing Workshop in Costa Mesa today, January 15, 2016. Over 70 people from special districts, nonprofits, private and public businesses throughout Orange County attended this event. 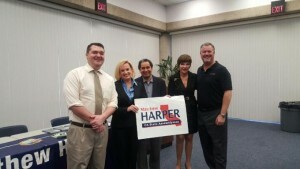 Congratulations to Assemblymemeber Matthew Harper for a very successful workshop.